What do Steve Reeves, John Grimek and Reg Park have in common? A) They were all beasts of aesthetic masculinity. B) I don’t know any of them. C) They all had nearly perfectly proportionate calf development. Of course A and C are both true. And of course you want to know how to get calves like that. (If you answered B, shame on you.) Here are 3 reasons your calves don’t get mistaken for your quads yet. Just as in the above multiple choice question, 2 of them are good and one of them is bad. Your calves aren’t small because of genetics. Here’s why. Many people argue that calf size is almost completely genetically determined. There is some truth to this. The soleus muscle of the calves has a muscle fiber type composition that can be up to 90% slow twitch dominant. Slow twitch muscle fibers have roughly half the growth potential of fast twitch fibers. In line with this, the soleus has only 42% of the capacity of the vastus lateralis in the quads to synthesize muscle protein after training . However, this difference disappears when we look specifically at type I fibers from both the soleus and the vastus lateralis . Note: If you don’t know what the soleus or the vastus lateralis are, read my Muscle-specific Hypertrophy articles from the above 2 links before reading the rest of this article. Practically everything I wrote there is still true today. There is no way you can understand how to optimally train a muscle without understanding its functional anatomy. Many people argue that calf size is almost completely genetically determined. There’s another reason that the calves, especially the soleus, are relatively unresponsive to weight training. The calves keep your body upright when you are standing or walking. That means they are active throughout the entire day. As a result, the calves are already further developed than any other muscle in ‘untrained’ individuals. Note that this is not a genetic limit. It just means the calves need more stimulus to grow further than most other muscle groups. Aside from their fiber type composition, there is nothing in their tissue properties that prevents the calves from growing [2-3]. There is no genetic voodoo curse cast over your calves to keep them puny for life. More importantly, both training status and muscle architecture can be taken into account in your training program design. The calves require a high volume and a high frequency of high reps, especially the soleus. The gastrocnemius requires more moderate training parameters. To give you an idea of the effect of volume on calf development, highly trained runners have 20% larger muscle fibers (type I and IIa) than recreationally trained runners . This may not sound impressive, until you consider that the recreational runners in this study were already running up to 15 miles (25 km) and training up to 4 times a week. The highly trained runners were averaging 59 miles (95 km) a week. That means even in individuals training a muscle 4 times a week, simply doing more of the same can increase your calves by over 20%. More importantly, running is terrible for muscle development. When trained properly, your calves should be able to become about as large as your neck and your upper arms. In men, this is the case for almost all elite drug free bodybuilders  and it’s the reason I brought up the classic bodybuilders earlier. In women, the calves actually have a somewhat higher growth potential than the upper arms . Only if your ankles are small compared to your wrist do you have a legitimate reason to have calves that are much smaller than your arms and neck. This would mean that your ankles are significantly smaller than 125% of your wrists as a man or 120% of your wrists as a woman. These are also almost exactly the measurements corresponding to the Graecian ideal and various other templates of a perfect physique. So, no more excuses. Your calves aren’t small because of genetics. Your calves are small because of the following 2 reasons. Your calves aren’t small because of genetics. Your calves are small because of the following 2 reasons. Many people have arm days, shoulder days, chest days, but how many people do you know with a day dedicated to the calves? Similarly, do you ever train your calves first during any session? Exercise order greatly affects both the immediate effect of the exercises as well as the long term effects. A group of Brazilian researchers compared 2 upper-body training programs that differed only in the order of the exercise . In one program, the bench press was performed before the triceps extension. In the other, the triceps extension was performed before the bench press. The following graph shows the effects of the 2 programs on maximal strength and muscle size. The values are effect sizes, which are a standardized measure of progress used in statistics to control for other factors like the duration of the program and variance in the training response between people. As you can see, the first exercise you perform is the exercise that progresses most and determines where you gain most muscle. Exercise order greatly affects both the immediate effect of the exercises as well as the long term effects. The importance of exercise order was supported in a 2012 research review . Just after your warm-up, your nervous system is still fresh and no metabolic waste has accumulated in your blood yet. Your body is in a perfect state to adapt to anything you throw at it. Throughout your training, lactic acid production causes acidosis in your blood as a byproduct of not having enough oxygen to fuel energy demands. The breakdown of muscle protein floods your blood with ammonia to levels exceeding those of liver disease patients, causing brain toxicity and various neurological disturbances. Muscle fibers and their connective tissue tear and become inflamed from the tension of contracting against maximal resistance. That’s the condition your body is in when you’re training your calves as an afterthought after a heavy leg day. Want your calves to grow? Start by giving them the attention you give your mirror muscles. Start by giving them the attention you give your mirror muscles. Every muscle group has a primary exercise. One that allows you to lift a heavy weight and stimulate the muscle in a natural movement pattern. The pecs have the bench press. The quads have the squat. But what do the calves have? To find the best calf exercise, I asked several bodybuilders, fellow personal trainers and professors what their favorite calf exercise was. None met my stringent 7 principles of exercise selection. Standing calf raises came closest. The problem with calf raises is that the ankle, specifically the talocrural joint, is a hinge joint. The ankle can only cause movement in a rotary fashion, just like the elbow. Yet calf raises are a straight up-and-down motion. This is why good calf raise machines have a shoulder or foot pad with a hinge instead of a slider. However, even if you have access to a calf raise machine like that, calf raises are not optimal. The design of the machine will never perfectly fit your anthropometry. It’s designed with the average foot length and body height in mind. If you have muscular legs, you know the feeling of regular jeans feeling like skinny jeans on your legs while still being incredibly baggy around your waist. That’s the same reason you need a custom tailored exercise for the calves. The pecs have the bench press. The quads have the squat. But what do the calves have? There’s another reason why calf raises are suboptimal. The length-tension relationship of the calves and the Achilles tendon makes the calves strongest when they are stretched or in the partial range of motion used during walking. Combined with the imperfect hinge mechanic, this results in calf raises having a sticking point in the top portion of the movement. Many people also feel that calf raises are somewhat off as a movement. The solution? Calf jumps. Calf jumps start and end in the same position as regular standing calf raises. However, instead of performing a strict calf raise, you jump to the top position. Thinking of jumping will automatically cause your knees to move forward followed by the natural extension pattern of a jump. As a result, calf jumps have an excellent resistance curve. Note that your feet and your shoulders should never leave contact with the machine. If you feel this will be the case, you are using far too little weight. This is a true strength exercise. You should be able to use more weight than you can squat. Your core will be heavily taxed and you should warm up properly before doing these. Here’s a video of my client and British regional bodybuilding champion Fabiano Giglio performing calf jumps. Don’t have a calf raise machine? You can also do calf jumps in a Smith machine (it’s more than a coat rack after all!) or a closed chain leg press, as demonstrated here by Mexican Bikini competitor Adriana Manco. You are now armed with one less excuse for puny calves, one more exercise for monstrous calves and all the scientific knowledge you need to optimize your calf training program. Go put it to use. Online physique coach, fitness model and scientific author, Menno Henselmans helps serious trainees attain their ideal physique using his Bayesian Bodybuilding methods. Follow him on Facebook or Twitter and check out his website for more free articles. Silva, P. R. P. D., Trindade, R. D. S., & De Rose, E. H. (2003). Body composition, somatotype and proporcionality of elite bodybuilders in Brazil. Revista Brasileira de Medicina do Esporte, 9(6), 403-407. Van der Ploeg, G. E., Brooks, A. G., Withers, R. T., Dollman, J., Leaney, F., & Chatterton, B. E. (2001). Body composition changes in female bodybuilders during preparation for competition. European journal of clinical nutrition, 55(4), 268-277. Influence of exercise order on maximum strength and muscle volume in nonlinear periodized resistance training. Spineti J, de Salles BF, Rhea MR, Lavigne D, Matta T, Miranda F, Fernandes L, Simão R. J Strength Cond Res. 2010 Nov;24(11):2962-9. Exercise order in resistance training. Simão R, de Salles BF, Figueiredo T, Dias I, Willardson JM. Sports Med. 2012 Mar 1;42(3):251-65. You can laugh at other skinny guys - if you follow this plan. 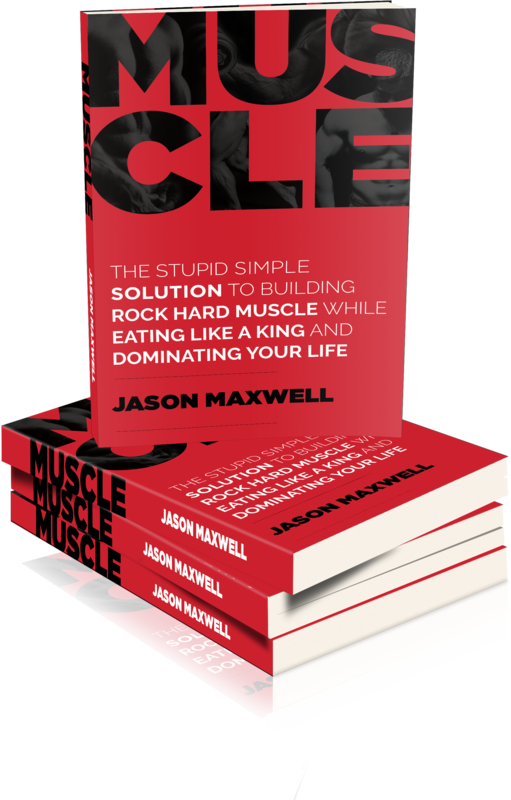 Enter your name and email to learn how to gain 10lbs of muscle (for free). Claim Your FREE COPY Of "Muscle"
Enter your name and email below to claim your free copy of "Muscle".